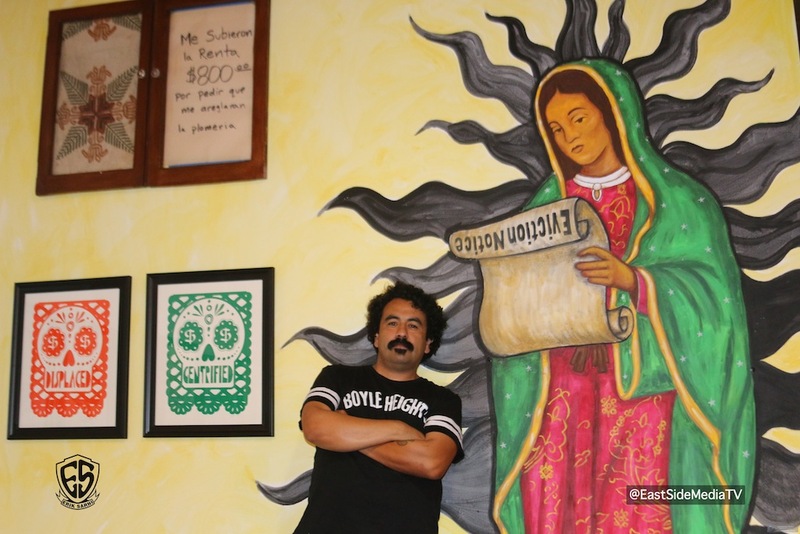 Artist and local Boyle Heights resident Nico Avina had an opening Reception on friday July 13th for his Art exhibit called “Criminalized and Displaced” featuring some of his latest works. He is well known for his silkscreen work on T-shirt’s but few know that he is also a mil-usos when it comes to his art. Ranging from painting, printing, stenciling and paper-mache. His latest exhibit features works that deal with current issues from gentrification to the criminalization of children. This exhibit will be up for the remaining of the month. Closing reception is Friday August 3, 2018 and is currently on display at Espacio 1839 in Boyle Heights.